Toasting in the New Year (with bourbon)! 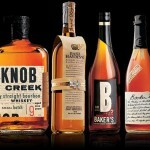 Tonight when the clock strikes midnight and we usher in a new year, I will be toasting with a couple of fingers of Knob Creek, may favorite bourbon. This is a big deal for me, as I will be a house party as an overnight guest, which means I can enjoy my bourbon without worrying about driving. I never drink when I have to drive as a rule and it is a good thing as I am quite the lightweight when it comes to drinking. Anyway, I have talked about my bourbon interest in the past and I am pleased to see that the good old Kentucky Whiskey of my choice is having a big renaissance these days. The New York Times recently featured an interesting piece on the resurgence of this classic spirit which I found quite interesting and informative. Check out the New York Times feature on bourbon here. 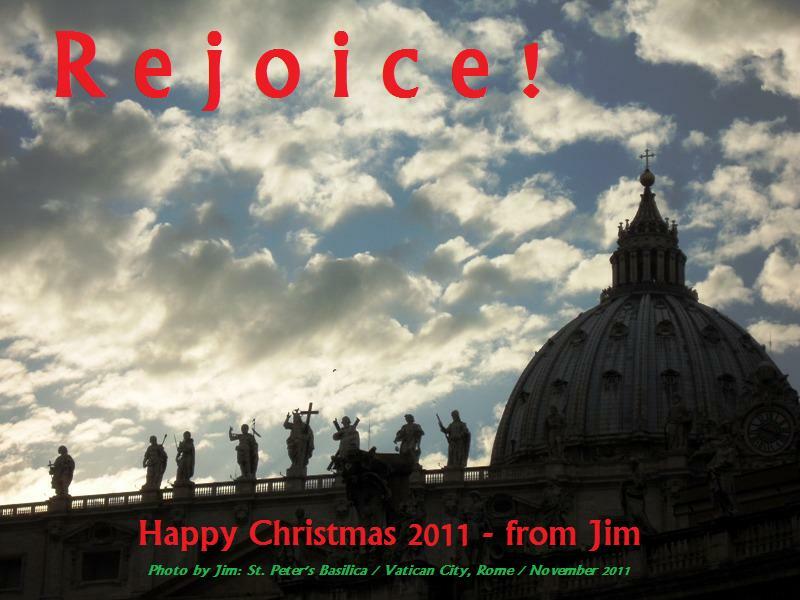 In the meantime, wherever you are and whatever you choose to toast the new year with… I wish you the happiest of New Years and every success in 2012! 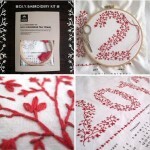 Today’ calendar is one that mixes crafting skills with the need for a calendar for the new year, the 2012 Tea Towel Calendar Embroidery Kit from Purl Soho. I am pretty crafty and like a good project, but I am pretty sure I will not be able to complete a Tea Towel Calendar Embroidery Kit in time to ring in the new year, but I love the idea of it. Christmas gets all the attention when it comes to food and treats. 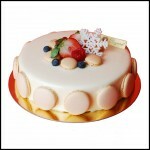 However, New Year’s offers an opportunity to keep the celebrations and treats coming. For example, check out the treats on display at New York’s Payard bakery with the New Year’s holiday in mind. If you happen to be in New York City, you are in luck – you can order your treats online and have them delivered or ready to pick up. For the rest of us, we will just have to be inspired to create some New Year’s treats of our own. Check out Payard’s New Year’s themed treats here. I love calendars and every year look for a new one to make the year special. But I have never really found a perpetual calendar that I like… until now. I love the Sun Hill Perpetual Calendar from Orange Art. I may never have to buy another calendar. Who am I kidding? I love calendars! A good calendar can be a work of art. 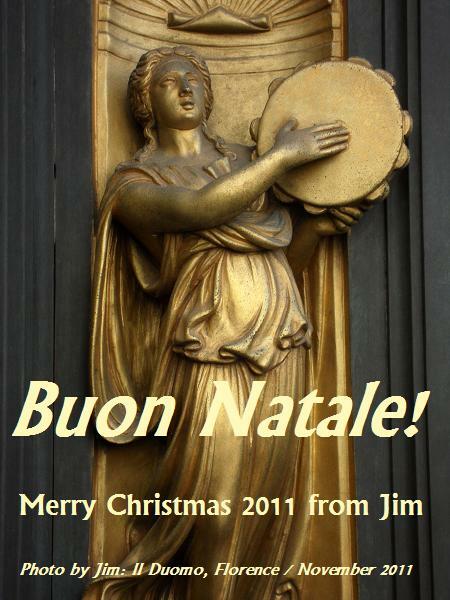 Heck, I if you are going to have something on your wall or desk all year, you had better like looking at it. I like calendars featuring the work of a favorite artist. Over the years I have had many calendars featuring the works of great artists. One of my favorites was a desk calendar with the art of Henri Matisse. So I was thrilled to find a new Matisse calendar featuring his cut-outs as part of TASCHEN’s Cloth Calendar series. I can’t wait for my Matisse Cut-out Calendar to arrive so I can admire it throughout 2012. Last minute decorating tip – making decorations with Duct Tape! A rocking horse from Stevenson Brothers. Help build specially adapted homes for severely injured veterans by supporting Homes for Our Troops. …just like the ones I used to know! Despite two rather large snow storms this fall – one over Halloween and the other right before Thanksgiving – it has been an unusually mild fall and early winter here in New England. 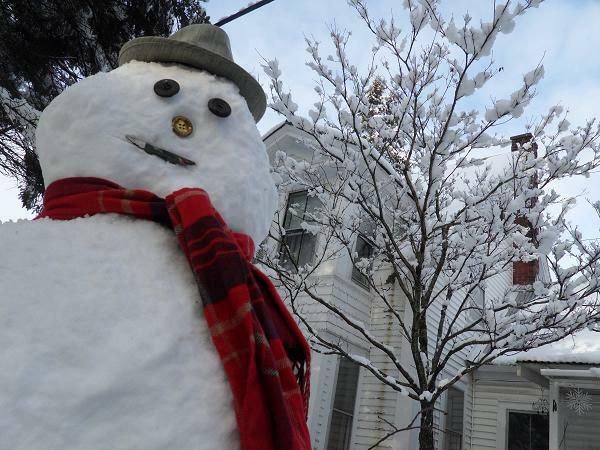 Earlier this week temperature were mostly in the high 40’s and the prospects for a white Christmas were slim. However, as if right on schedule, we had a nice snow fall over night with about six inches of snow that added a holiday hue to everything. The forecast is calling for a little more snow tonight and temperatures well below freezing until after Christmas – which means we will have a white Christmas after all. As Lost Cowboy fans know, I have an irrational fear of winter weather. However, I was so happy to see the snow in time for Christmas. So happy in fact, I jumped right outside this morning and built a good old fashioned snow man to keep watch in the yard. Thanks to everyone who has been asking for an update on my paper whites experiment. 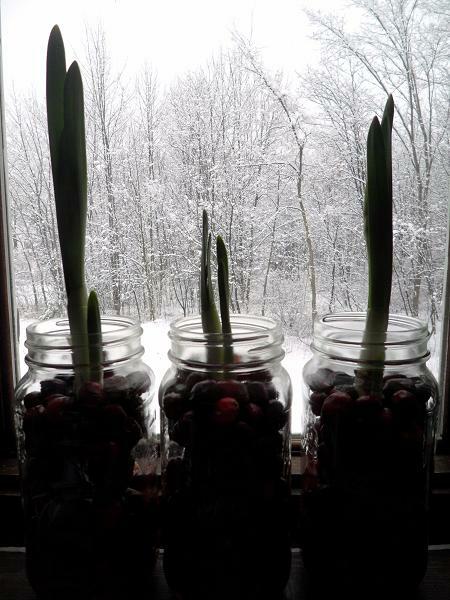 I moved the mason jars with the cranberries and paper white bulbs to the kitchen window and they have grown quite a bit. I was hoping for blossoms by Christmas day, which may just happen as I the blossom sprouts are starting. But I think I started too late and may see the blossoms for New Year‘s Day. Anyway, I woke this morning to a stunning wintry backdrop for these holiday plants. The plants are hard to see in this picture, but you can get a sense for the growth, and more importantly, you can see what is shaping up to be a white Christmas here in Carroll County New Hampshire. Lost Cowboy is powered by	WordPress 5.0.4 and delivered to you in 2.100 seconds using 59 queries.